In 1996 Joana Bover founded BOVER in Barcelona. It has grown to become one of the leading companies in the contemporary lighting sector, with its own subsidiary in the United States and a presence in countries worldwide. Despite the continued growth of the Bover brand, Joana Bover has remained true to her original vision. She believes in timeless design, in a commercial line that knows how to maintain the balance between quality and shape, resulting in a timeless style capable of adapting to the future without fanfare. For Joana, BOVER is the result of the professionalism and the concerns of a team of people who live and feel the cultural world surrounding them, of a team of respected designers advocating the creation of new lighting experiences for the whole world. 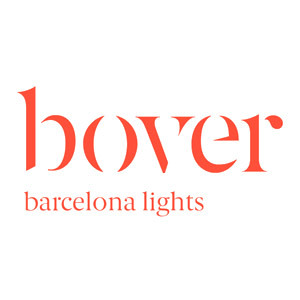 Bover is produced entirely in Barcelona, exercising full control over its production chain and as a result is able to ensure excellent quality and appropriate delivery terms to meet market needs. Another distinguishing factor of the BOVER collection is the BIG FORMATS large-scale products, designed for large spaces that offer a high degree of comfort and lighting performance without sacrificing good technical perks that facilitate lights maintenance essential features for adapting to contract projects.